Russian Intelligence Agency SVR has claimed that CIA agent Raymond Davis who was arrested in Lahore for Killing two Pakistanis last month was working on agenda of war between Pakistan and United States. According to Russian Intelligence Raymond was trying to theft Pakistani Nuclear Material to give it to Terrorists so that America get get a excuse to attack Pakistan. SVR has also said that many secret files of CIA are found from Raymond Davis according to which he is working for dangerous American task force 373. 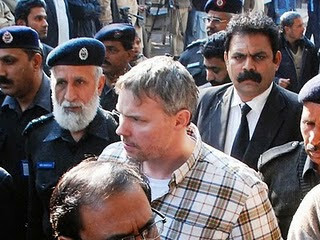 It is also found that Raymond Davis has connections with terrorist groups that are involved in terrorist attacks in Pakistan. According to Russian Intelligence America wants to start a new war with any country to save dying Western economy.